It's my mission to help you as a guitar player, producer or composer to advance your level! I focus on extending and enriching your ability and on keeping your authentic sound and signature! Are you looking for one on one lessons in the area of guitar playing, producing or composing? From the comfort of your own home, using your own equipment and a stress free environment? I'm an educated teacher (Rotterdams Conservatorium Modern Guitar) and have been teaching for over 26 years now. I've studied and played different styles of music ranging from pop to rock to jazz to fusion and have been influenced by many players. I've composed and produced music from 2000 onwards working with different musicians, topliners and producers worldwide. In recent years I've become more interested in listening to and the composition of (neo) classical and minimalistic music. If I can't help you I'll definitevely say so upfront. You can have Skype lessons on a weekly, two-weekly or on a monthly basis. We'll create a lesson plan together to get you where you want to be as a player. 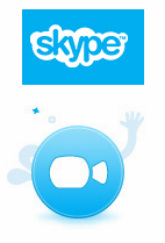 Skype (Free download at skype.com).